Talk about ‘getting into the character’ a bit too far! 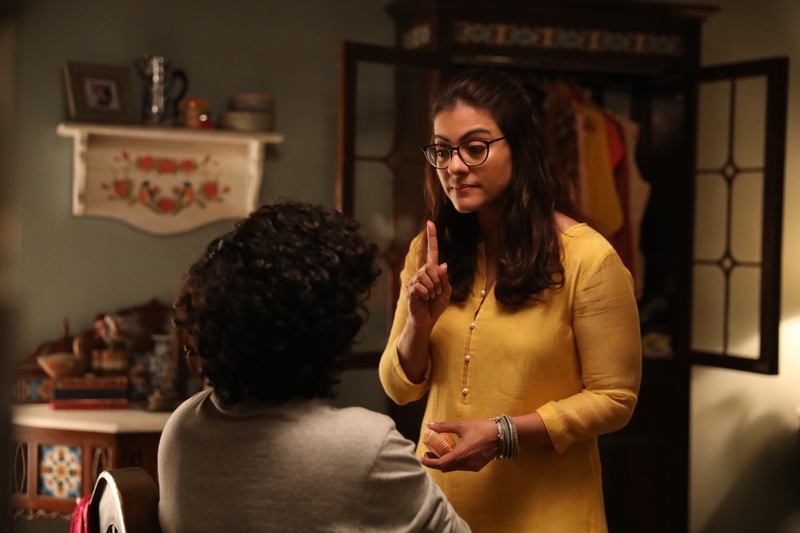 Well, this is what happened for Kajol when she was required to slap her on-screen teenage son Riddhi Sen in their upcoming release Helicopter Eela. While it was the need of the script for the actress to do that occasionally in the film, little did the reel life mom and son knew that it would actually turn out to be a rather hilarious experience for all present on the sets. “That’s because it is not once, twice or three-four times that Riddhi gets a slap from Kajol. A scene like that comes up every few minutes and as a result there are at least 8-10 instances in the film where the situation repeats itself,” laughs a senior crew member who saw it all unfold in front of her eyes when the shooting was on. In this Pradeep Sarkar film, Kajol is shown as this ‘helicopter mom’ who is forever concerned about her son (even though he has joined college) and constantly monitors his every act and move. So much so that for her he is still her little kid, as a result of which she doesn’t mind giving him a slap or two even at the most trivial of issues. However, to make the most of the scenes so that it can lead to laughter at the right points, Pradeep Sarkar ensured that there were slaps introduced at many places so as to entice good reactions from the audience. Now that the film is waiting to be unveiled, one waits to hear it all loud and clear. Guess iss thappar ki goonj door door tak sunaayi degi!